A former Minister of Finance, Dr. Ngozi Okonjo-Iweala, has been summoned by the Economic and Financial Crimes Commission, EFCC, to explain how about $250 million of the $500 million recovered from the family of the late Head of State, General Sani Abacha, was withdrawn. The Nation reports that the letter summoning Okonjo-Iweala was approved by the Acting chairman of the EFCC, Ibrahim Magu. A source told the Media: “Following preliminary findings, a strong recommendation was made to the Acting EFCC chairman for an interactive session with Dr. Ngozi Okonjo-Iweala. “Her presence is necessary because there were issues about the $250 million released, especially why $36,155,000 (N13,015,800 billion) was withdrawn in cash. 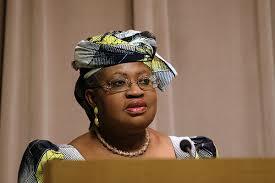 “She needs to assist the EFCC team on what became of the balance of $250million, which was yet to be traced. It was alleged that the cash was released to the Office of National Security Adviser without appropriation. About $36,155,000 (N13,015,800 billion) out of the $250 million was also allegedly withdrawn in cash “without any purpose” on March 2, 9, 16 and 18, 2015. The Office of the National Security Adviser in a memo on January 12, 2015 was said to have requested for the transfer of part of the money to its purse. Okonjo-Iweala, via a memo to ex-President Goodluck Jonathan, was also said to have requested for the release of $300 million from Abacha loot to the former National Security Adviser, retired Colonel Sambo Dasuki. But only $250 million was released to the ex-NSA. The memo explained that this was to enable the NSA’s office purchase ammunition, security and other intelligence equipment for the security agencies in order to enable them confront the Boko Haram threat. It said: “This request is sequel to the meeting you chaired with the committee on use of recovered funds where decision was made that recovered Abacha funds would be split 50-50 between urgent security needs to confront Boko Haram and development needs (including a portion for the Future Generations window of Sovereign Wealth Fund). Jonathan, in a January 29, 2015 memo, told Okonjo-Iweala: “CME/HMF, approved”.